The Days Inn, 1212 East Dublin Granville Road. Mary McCarthy has been helping small businesses thrive as her primary mission. Mary was tapped by the U.S. Small Business Administration to deliver a class called “Scale Up America” in Central Ohio, which helped small business reach the next level: increasing revenue, hiring an additional staff person, etc. Mary will share her expertise on the things that hold back older businesses and new businesses alike from achieving the success that allows the owners to relax and enjoy the fruits of their labor. Mary has not only learned to succeed as an entrepreneur, she has thrived. With over 20 years of experience as a business owner and consultant, Mary has taken those experiences and turned them into YMT Consultants. The rich offering of services and programs YMT provides assists other microbusiness owners to navigate their own challenges andopportunities with expert resources, rather than by trial and error. Watching entrepreneurs begin, grow, and flourish is her lifelong passion. Mary encourages her clients providing understanding, knowledge and tough love when the stumble and struggle with letting go as they grow. She has been heard saying, “What sets our organization apart is our tough empathy.” While she acknowledges the daily challenges and fears entrepreneurs face, she does not allow these excuses to prevent a microbusiness owner from gaining control and growing their business. Mary is the owner of YMT Consultants, Inc. (YMT), a microbusiness consulting firm, Co-founder and Executive Director of the Women’s Small Business Accelerator, Inc. (WSBA), host of The Successful Micropreneur podcast, and all around champion of microbusiness. 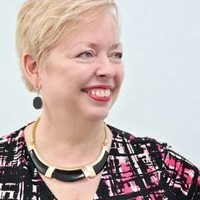 In her spare time, Mary serves on the City of Columbus Diversity and Inclusion board, is an active member of NAWBO Columbus, and teaches The Determined and The Inspired Entrepreneur training programs.